If you have answered the questions in the above link, and you are certain this is the place you should be seeking help. Then lets get on with the show. Eating well at dinner time, in my mind actually starts right back at snack time. Have a think about the snacks your kids are having in between meals. When it comes to snacks I have a GO BIG philosophy. By this I mean, instead of constantly nibbling on crackers right up until meal time. Offer a good BIG snack at morning tea and afternoon tea that will fuel them up to last the distance until the next meal. Of course this is in the ideal world, and I know that best laid plans don’t always work. But it is still worth trying to do when you can. Make sure at snack time you offer not just carbohydrates but protein and fats too. Snacks are also a great time to be offering vegetables, there is debate all the time about diet regimes. One thing that is never debated is whether more vegetables is a good thing. It is always a good thing, so adding them at snack times will never be a bad idea. Following on from giving a good snack at afternoon time. Think about implementing a rule where you close the kitchen and the fridge an hour, give or take before meal times. It won’t always work. But come on, I am sure we all know in our heart of hearts giving kids a snack just before dinner time won’t encourage them to eat dinner. If you are going to give a snack right before dinner. Be clever give them something you were going to serve at dinner anyway. Maybe the vege you were planning on serving. I now want to take you through an example of poor meal prep for kids. It’s coming up to dinner time, nothing is ready, the kids aren’t ‘helping’ so you switch on the TV. Now you can make dinner in peace. I know all about it. I’ve been there too! But watching TV right before meals is not great ‘meal prep’ for your kids. If you need to turn the TV on while you prep dinner for sanity sake then do it. But once dinner is almost prepared I want you to turn your attention to getting your kids meal prepped! Get them up off the couch, get them moving. Blood pumping, energy levels up. Get outside if you can. Bounce on the trampoline, run around the house, play a silly game. If you can’t get outside get them moving inside. Dance off, songs with actions, something, anything physical. Now that they are up up up, get them a little bit calm. Do something they like doing. read a book with you. Sit up at the table for some drawing or a puzzle while you put the finishing touches on dinner. Get them involved with the finishing touches. They could toss the salad, pick a garnish, set the table. Now you will have kids who are prepped for dinner! Could dinner time be too late for your picky eater? Tired kids can be too tired to do anything. They can be too tired to be a three-year old let alone try to eat a meal. This is not a luxury everyone has but if you do have the opportunity and you think your toddler might be suffering from “TOO TIRED SYNDROME” think about moving dinner time earlier. A YES LIST is a list of foods that you know your child eats and you are happy for them to eat at dinner time. A chocolate biscuit for example, your child may love, but you may not be happy for them to have chocolate biscuits at dinner time. This means chocolate biscuits would not make it on the YES LIST. You might love the idea of your child eating tomatoes, but they won’t have a bar of them at the moment. This means tomatoes would not make your YES LIST. Your child might be a banana lover and you are comfortable with the idea of them having banana at dinner. This means bananas would make it on to your YES LIST. Sit down and right a YES LIST. Think about foods from the different foods groups so that you have everything covered. Proteins, Grains, Fruits, Vegetables etc. Everyone’s YES LIST will be different and unique to their child and their family. Now that you have a YES LIST this is how you use it. If you are preparing a family meal that your child has not had before, or you know they did not eat last meal time. Check your YES LIST and make sure there are some items from that available at meal time too. It might be a side of cucumbers, Bananas for dessert, Frozen peas, whatever but make sure there are YES FOODS available too. I think it is unfair to expect children to eat foods the first time they are presented them. It may take many many many times. Perhaps even ten to fifteen times. I also think it is unfair to expect kids to love 100% of all foods (I mean I have some foods I dislike). That’s where the YES LIST comes in. It is not that they aren’t served the family meal. It just means they also have other familiar foods available as part of that meal. This is not ground breaking, but we know kids copy what they see. It is ok to be firm but fair. Just like in any other areas of parenting. It is ok, to be firm, and set boundaries at the dinner table. If your child has not eaten any dinner, even though you’ve made YES LIST food available then I think it is ok that they don’t have dinner. I think it is ok for you to set that boundary. If that happens every day then something needs to be looked at, but once in a while it’s ok and you don’t need to feel guilt ridden. On the flip side if you are being firm, remember to always be fair too. If your child has been unwell and doesn’t want the chickpea curry you’ve prepared but requests peanut butter toast. Have a think before you say no. When I’m sick I can be off my food too. I might choose toast over curry as well. You are the parent. You will know when your child needs a bit more firmness or a bit more fairness at the dinner table. So those were my 7 tips for helping picky eaters eat as well as they can at meal times. Now that we have covered that I also want to leave you with this thought. Always keep in mind when it comes to feeding kids, creating a healthy eater for life is the goal. Worrying about each individual meal or day or even week can just make it seem like you aren’t getting anywhere. Our kids will live for many many years. Most health benefits from a nutrition perspective are seen because of life long eating habits. I say this to help put everything into perspective. So your child refused to eat carrots for 3 years. 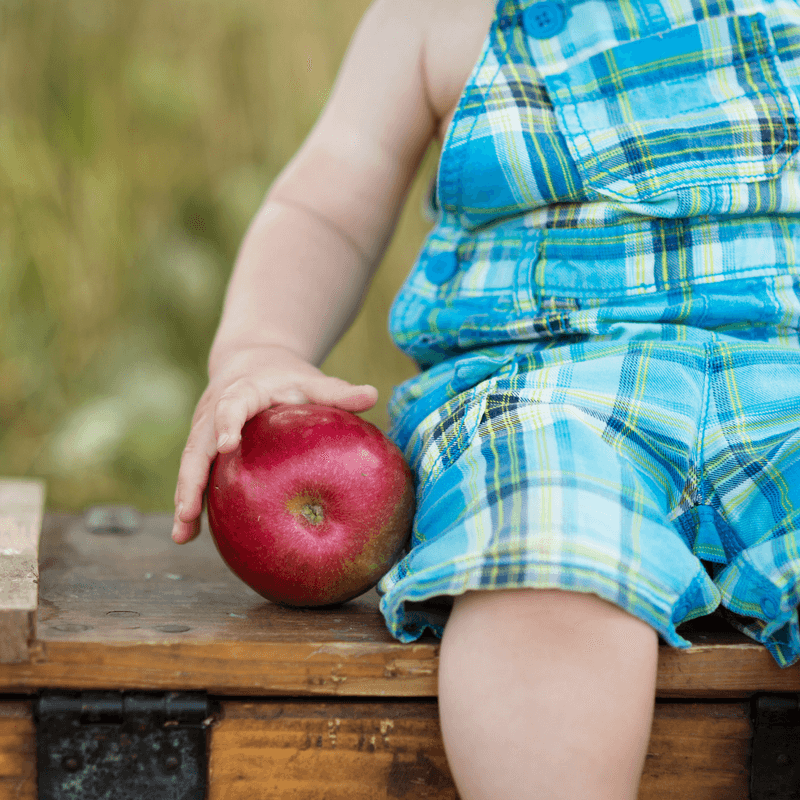 It may seem like a big deal at the time, but when your child is 50 it will be the eating habits that he or she has had for decades that will play a role in his health. Not whether he was a carrot eater when he was 2 years old. Oh that is great! I think my next creation will be a down loadable YES LIST maker ? These are great! So sensible and no drama. Love it! My kids are not huge Beetroot fans although I am! The yes list will be totally different for all kids and all families ? Just discovered your blog. Love your approach. Very similar to mine, but some great tips from someone who knows more than me. Thanks so much. Keep it coming.